ASSOCHAM Secretary General Sh. 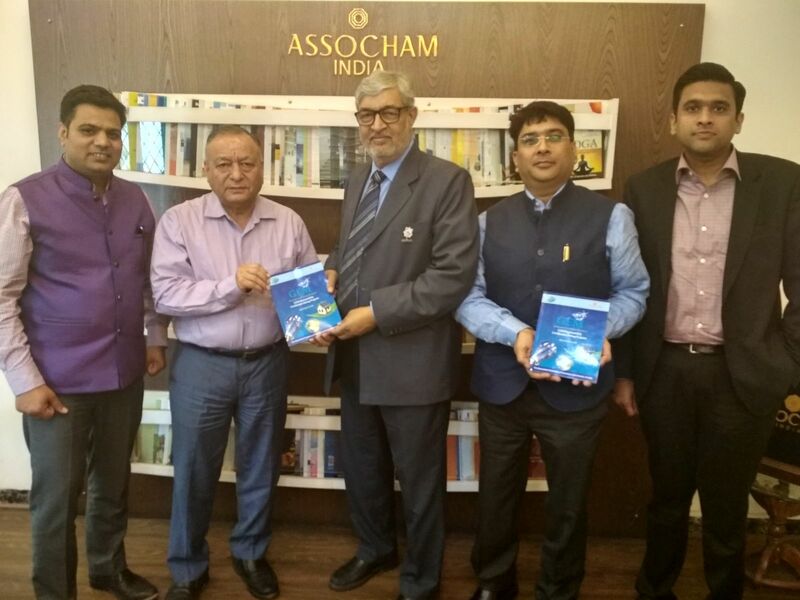 D. S. Rawat presenting the GEM Sustainability Certification Program Reference guide to Sh. Pankaj Dharkar, National President, FSAI accompanied by Mr. Ashu Gupta, Design2Occupancy, Jaipur and Mr. Rajnish Aggarwal, PDA Consultants.